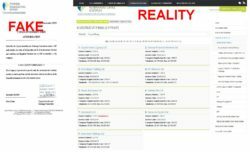 In this review we provide proofs that “Crypto Binary” is a scam. 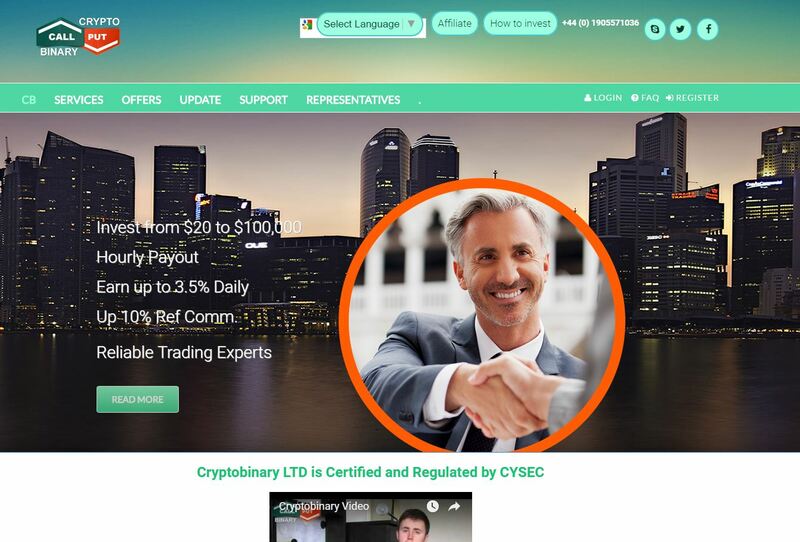 Crypto Binary says on its web site that it is a company focused on crypto-currency mining and binary options trading. It offers several plans that are supposed to bring you high returns on investments, ranging from 0.13 % hourly to 25 % per week. Crypto Binary says that there is a 99.9 % profit assurance. Cryptobinary is not listed on the CySEC web site. Data provided by Crypto Binary suggest that it is in fact a HYIP (High Yield Investment Program). And HYIPs are in fact Ponzi schemes, which means that profits are paid from new deposits. So when new depositors are no longer coming quickly enough, the whole system collapses. You remember Bernard Madoff, right? This alone is a very good reason to stay away from Crypto Binary. But there is more. Probably the worst thing is the forged CySEC licence presented on the web site. 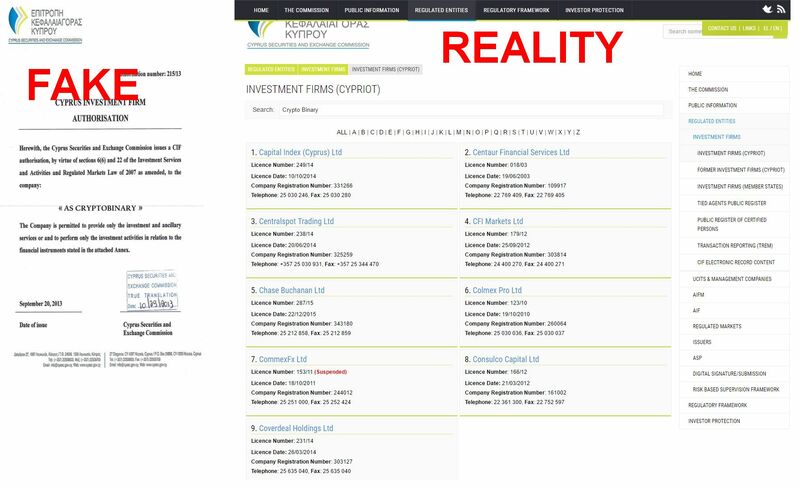 CryptoBinary is not a licenced company by the CySEC, the licence is a big fake! You can verify that on the CySEC web site, but it is also clear from the fact that Crypto Binary provides a London address, so it cannot be regulated by the CySEC. And one last thing, the guy in the video presenting Crypto Binary is a Fiverr actor that has supported and endorsed many binary options scams. 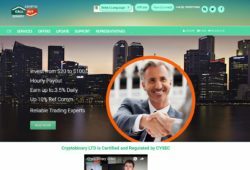 Crypto Binary is a dangerous scam that in reality has nothing to do with binary options. It is a Ponzi scheme that will fail sooner or later and all the money will disappear. If you want to see real binary options in action, try a free demo account. Binary options are easy to understand, you just have to choose whether the price will go up or down. But to make money, you still need to build a profitable strategy first.